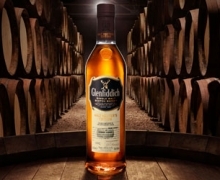 Glenfiddich Malt Master's Edition encapsulates the fifth-generation family-owned distillery's innovative casking techniques. It is the first expression to adopt the double maturation process, delivering a whisky that is complex in taste and flavor imparted from two different woods. Using the highest quality of both Sherry and Refill Bourbon casks throughout the Glenfiddich range, this rare liquid reflects the distillery's historic 125 years of creating the most sought after whiskies in the world. As Malt Master, Kinsman is in charge of the Glenfiddich's pioneering whisky making process, from cask selection and overseeing the marrying of different ages and characters to managing the unique maturation process within the warehouse in the Dufftown, Scotland. A chemist by training, Kinsman became Glenfiddich Malt Master in December 2009, having first served an eight year apprenticeship under his predecessor David Stewart, who held the post for 35 years and is currently the industry's longest serving Malt Master. "It is a true honor to be the sixth Malt Master at Glenfiddich during the distillery's milestone 125th Anniversary year," said Malt Master Brian Kinsman. "Glenfiddich established the single malt Scotch whisky category in 1963, when we became the first distillery to successfully export outside Scotland. 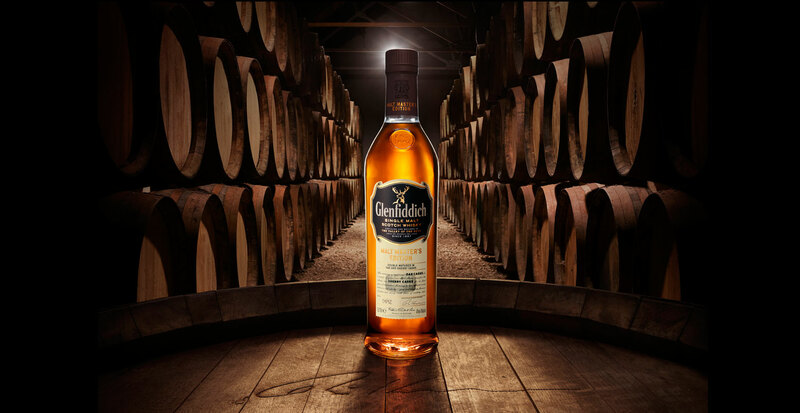 I am proud to launch the Glenfiddich Malt Master's Edition as a tribute to the pioneering history that goes into each and every bottle of whisky we produce." 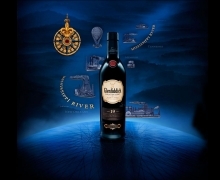 Glenfiddich Malt Master's Edition delivers a rich, ruby-red whisky with a complex nose that intermingles damp earth and whisky-soaked wood with deep vanilla and a touch of smoky embers. At first taste, the whisky has a sherbet zing which then slowly takes on a spicy, fruity character of plum and cherry with hints of toasted almond and wedding cake. The finish is silky and smooth.